1Not available with special financing, lease and some other offers. See dealer for details. 2Not available with special financing, lease and some other offers. See dealer for details. 3GENERAL MOTORS IS ANNOUNCING A PRIVATE OFFER TO CUSTOMERS WHO CURRENTLY LEASE A 2014 OR NEWER NON-GM (I.E., NON-BUICK, CADILLAC, CHEVROLET, GMC, HUMMER, OLDSMOBILE, PONTIAC OR SATURN) PASSENGER CAR OR TRUCK. CUSTOMERS WILL BE ELIGIBLE TO USE THIS OFFER TOWARDS THE PURCHASE OR LEASE OF ONE OF THE NEW AND UNUSED 2019 COLORADO, CRUZE, EQUINOX, IMPALA, MALIBU, SUBURBAN, TAHOE, TRAVERSE, TRAX. SEE DEALER FOR DETAILS. 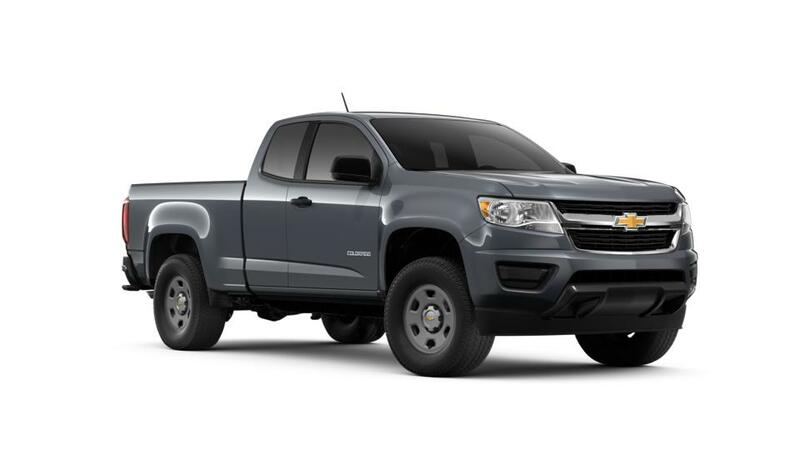 4THIS IS THE CHEVROLET CONQUEST INCENTIVE FOR CURRENT OWNERS/LESSEES OF A 2005 OR NEWER NON GM (I.E., NON-BUICK, CADILLAC, CHEVROLET, GMC, HUMMER, OLDSMOBILE, PONTIAC OR SATURN) PASSENGER CAR OR TRUCK WHO PURCHASE ONE OF THE ELIGIBLE NEW AND UNUSED 2019 BOLT OR COLORADO. SEE DEALER FOR DETAILS. 5Excludes base models. Monthly payment is $16.67 for every $1,000 you finance. Example down payment: 19.9%. Must finance with GM Financial. Some customers may not qualify. Not available with lease and some other offers. Take new retail delivery by 4/30/2019. See dealer for details. 1Not available with special finance or lease offers. Take delivery by 04-30-2019. 2GENERAL MOTORS IS ANNOUNCING A PRIVATE OFFER TO CUSTOMERS WHO CURRENTLY LEASE A 2014 OR NEWER NON-GM (I.E., NON-BUICK, CADILLAC, CHEVROLET, GMC, HUMMER, OLDSMOBILE, PONTIAC OR SATURN) PASSENGER CAR OR TRUCK. CUSTOMERS WILL BE ELIGIBLE TO USE THIS OFFER TOWARDS THE PURCHASE OR LEASE OF ONE OF THE NEW AND UNUSED 2019 COLORADO, CRUZE, EQUINOX, IMPALA, MALIBU, SUBURBAN, TAHOE, TRAVERSE, TRAX. SEE DEALER FOR DETAILS. 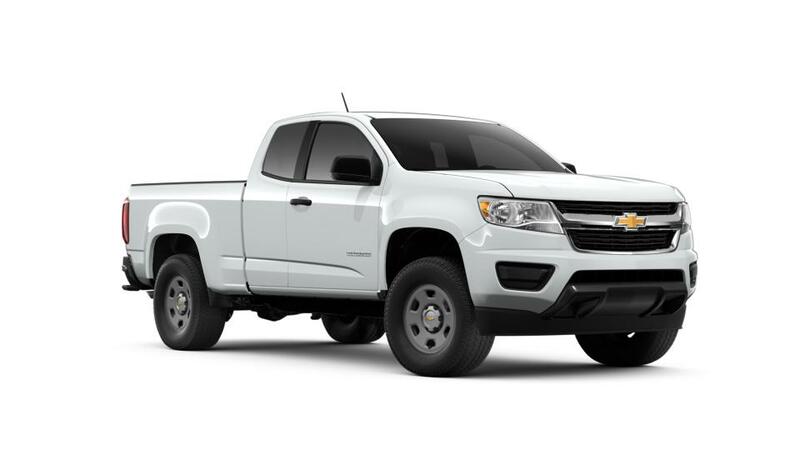 3THIS IS THE CHEVROLET CONQUEST INCENTIVE FOR CURRENT OWNERS/LESSEES OF A 2005 OR NEWER NON GM (I.E., NON-BUICK, CADILLAC, CHEVROLET, GMC, HUMMER, OLDSMOBILE, PONTIAC OR SATURN) PASSENGER CAR OR TRUCK WHO PURCHASE ONE OF THE ELIGIBLE NEW AND UNUSED 2019 BOLT OR COLORADO. SEE DEALER FOR DETAILS. 4Excludes base models. Monthly payment is $16.67 for every $1,000 you finance. Example down payment: 19.9%. Must finance with GM Financial. Some customers may not qualify. Not available with lease and some other offers. Take new retail delivery by 4/30/2019. See dealer for details. Why do so many San Diego drivers opt for the ? The is a reliable mid-size pickup truck with plenty of power. This truck can carry up to 7,700lbs. and comes equipped with up to 308hp, so it can take care of tough jobs. You’ll be connected and enjoy a smooth ride with available built-in Wi-Fi and an interior designed for less noise and vibration. It also has excellent fuel economy for a pickup, saving you money on gas. Browse our inventory of new s in La Mesa to discover the color and features you're looking for. For more information on a test drive, contact us at (619)327-9965.